Katrina the Tester: Stop fighting. Start participating. That's a useful reminder to choose participation over confrontation. There are(at least) two types of change - change for the right reasons and that for the wrong. It's worth pointing out that the change in testing is for the wrong reasons - there is a shallowness in understanding testing. Of course, fighting still may not be the right option. Good testers should be comfortable in their beliefs, despite the current change. Too often, I see confusion among good testers - I don't blame them, given the extent of the change. It's a tricky balance to understand good testing and influence others when the understanding is so different. While I support the collaborative approach and also think that "fight" might be a harsh word, I do believe that your approach is, while desirable, a bit too soft-sided in some scenarios and situations. One of these scenarios is where all these changes lead towards the "we don't need testers" direction. I personally believe that to be wrong, and I have seen a people trying that and failing. I also call "tester as second class citizen". This goes hand in hand with notions like "everybody can test" and "testing is just trying out the SW". Basically a complete failure to understand the job of testers"
In scenarios like these it is important "to stand up" for your position. And it is not (primarily) about a tester's position. It is about the goal we should stand for in that role - good Quality SW. Yes, to influence that, you have to be involved. And the best way to be involved is a collaborative approach. But for that approach to work, mutual respect and understanding is important. If that is given, there is no need to fight. If mutual respect is not given, then one should stand up and make his or her point - or get the hell out of there :) Or my personal way of putting it: nearly nobody seems to have a problem having testers report into Dev Managers (that managers with "only" development background). Mutual respect will be achieved, if that is also true the other way round. My understanding of this editorial is that people jump to conclusions about testing (and development models) and as to how testing work should be done based on what they wish for instead of what they actually understand about testing and SW quality. I understand it also coming from someone who urges to think about the appropriateness of measures instead of following the next hype. And this is especially true for organizations, where testing is not independent enough (and important enough, also with regard to the organizational level) to be considered and heard when it comes to strategic decisions. To be part of the game at time you just need to be high enough in the hierarchy (sad, but often true). So, to participate (and others letting you participate) you have to be loud sometimes. Friendly, approachable, collaborative - but firm! Thanks for your comment Bernhard. I wanted to offer a couple of experience reports that I've seen from testers in the situations that you mention. Jesse Alford works at Pivotal in the US. He spoke at CAST2016 on the topic "Against a Harmful Divide: Testing as the lifeblood of development" sharing a really interesting perspective on the "we don't need testers" phenomenon. Sally Goble works at The Guardian in the UK. She spoke at Pipeline Conf 2016 on the topic "So what do you do if you don't do testing?" which, again, is a real experience report on a significant change in the role of the tester. I believe both are examples of people who've participated in conversations about the evolution of their role rather than fighting from a corner or making a stand. In my experience, the stories from the obstinate usually end in them "getting the hell out of there". I'd be really interested in hearing experiences where a fight has had a productive outcome. Hello. Katrina, I appreciate the way you highlight how to be collaborative. And while I used the term "fight" - gosh this can be misunderstood greatly. I feel those who know me well know my "fighting" is not hostile or combative but influential, insistent and hopefully thoughtful. I agree with Bernhard that some testers may need a bit of a status boost before or in order to be able to have their ideas heard ... I was not addressing that aspect in my editorial. After all, there are many scenarios and a short editorial cannot outline all the nuanced scenarios and dynamics that might exist. My hope was that testers in the basic scenario I described would feel supported and encouraged and that the term "fight" would provide a sense of motivation. As a frequent conference speaker, I think many would know a combative approach is just not my style .. at least not normally. One of the most pressing scenarios is the sweeping move to automation - and that itself is not an issue. What is an issue is when automation is viewed as a silver bullet (I think Alan Richardson aka Evil Tester refers to this as the magic unicorn or some such thing). It can be a tough situation to encourage others to move towards automation with thought, to understand when the trade-off (work effort over pay-off) is there and when it is not and when that trade-off is not there - manual testing can still be the right thing. But in some scenarios this type of push back can be misunderstood as someone being anti-automation and once that happens ... it typically not a good scene. As you highlighted - if you are combative - sometime decisions will be made without you - not with you. The tough thing is sometimes even when you are not combative (but collaborative, approachable, truly easy to work with) but you are just of a different thinking - you can get left in the dust, you can get tagged as combative - and once that happens, it is a tough scene. One more comment on the word "fight." In a personal scenario in recent days, I was in a tough conversation where myself and someone else had a vastly different view. No yelling, no bad behavior took place but it was indeed a tough difficult conversation... and I would have called it that - a tough difficult conversation while the other person quickly called the talk - a "fight." We are quick to grab words, quick to label but tone, timing, body language are all part of a conversation. Someone's tolerance for hard conversation can vary too, sometimes we push more influence than is suitable even with the best of intentions - and end up creating the wrong outcome. It simply ain't easy. Glad you highlighted the word collaborative and highlighted how to go about working that way. I hope my editorial and message are not misunderstood and that the word "fight" does not overshadow my editorial and the desire to discuss the changes in our field and where those changes leaves many a manual tester. If my editorial spawns idea sharing on how manual testers might internally mentally approach the changes as well as how they actually work through the changes - then I will be glad indeed. Having seen you present at conferences, I did assume that you probably meant "fight" in a looser sense. But your editorial was a catalyst for writing about a language choice that has bothered me for some time. I like your point that sometimes those who are simply of different thinking may still get tagged as being combative. I have seen that happen in the workplace. But I've also seen people take the mantra of "fight" to validate aggressive behaviour, which is usually to their detriment. I am also glad to see interesting conversation happening here, and via other social forums, on the topic of approaching change as a result of this post and your original editorial. Lots of food for thought. Thanks for the interesting links. I guess we have a slight misunderstanding (and my English is not that good as I wish it would be). So let me state clearly. There is typically no use to fight change: If you try to fight it, most of the times you will be changed. And it might not be the way you want to. The world is changing constantly and therefore one has to rethink and reinvent himselves and your organization quite regularly anyway. But, and that is for sure: I like to be in the driver's seat. Or at least be the one with the map and telling the way to go. So when I talk about standing up for your points I do not mean fighting change, but for the chance to have a say about the way. And my point was, that there are situations, where testers might not be "invited" to collaborate on "their own change". This is the point in time where you have to stand up in my mind. Because if you don't, you don't achieve the goal of participating at all, you will be changed. You ask for an example where fighting brought a positive result. Admittedly I might be at loss at the finer points of the word fighting here in the first place. A heated discussion between colleagues can be, in my opinion, a fight. They might have different opinions on how to do things and heatedly discuss and advocate their ways. I have seen situations like that a number of times, and most of the times the result was quite good. Because the people involved were passionate about method, way, etc. but would work very well together and had a good relationship on a personal level. So to me, in my understanding of the word "fight", this is not bad under all circumstances. Could the discussion climate be better: of course. Would I prefer them to be more controlled? Sure. But if they are passionate about their work and don't insult or attack others personally, I can live with it. Most of the times I have seen these people work together. Does standing up for something bring positive results. In my mind yes. DId I personally stand up against change: not really, most of the times I actually shaped it. So no example here. But let's take a different one: I got basically yelled at by a top manager once for pulling the plug on a release at some point in my career. He told me how important it was, that the deadline was non-negotiable, etc. etc. Would I have been younger and inexperienced, I might have faltered and let the SW out. But knowing that it would have been worse to let it out I stood my ground. I explained what has been done, I explained that this was no surprise given the developments in the project, I explained the possible scenarios. And hold and behold, I was understood. Not that the manager liked it any more. He did not, which I could understand quite easily from the business perspective. But letting it out would have had a negative business impact as well. Earlier in my career I let myself convince "that it would be ok" in a similar situation. Well, since my manager went on a took the responsibility for the call, I was off the hook. But it did not go well, and to me it just felt wrong that I did not follow through with my arguments. So my personal conclusion was and still is that you have to be firm. But being firm about values and goals doesn't mean one is fighting change. Well, at least not in my view of the world. To quote Claudio Acquaviva: "fortiter in re, suaviter in modo". In the testing context this means to me that a tester has to be strong about the quality of the products or services. The way of achieving the quality can be varied and discussed and should be aqequate and appropriate. Thanks for your clarification Bernhard. I particularly like "being firm about values and goals doesn't mean one is fighting change". Lots more to think about. I'm excited for the future of testing. So much testing in the past was done badly and ineffectively, I would like to think it is that kind of testing that is going away. Testers need to do more. Make more. And as you say participate. So that we can evolve. When looking at your definition of fight KC ("take part in a violent struggle to overcome, eliminate, or prevent"), I tend to agree with you. However, there are many ways to fight. I think we lean towards the word fight because we are passionate, and it seems to fit nicely with how we feel (our level of passion) about our position and the apparent need to defend it. So yes, I also encourage others to do what you have written above and would urge people to try and contribute and influence first. However, there may be a time when they do need to fight... how they fight is the important part, and will either see them dispatched or continue on. As is so often the case Katrina, I agree with your sentiments. However, I think that the word "fight" is now so commonly borrowed from its literal meaning, that you defined, and used almost metaphorically to refer to attempts to change ingrained ideas or overcome less physical oppression that this has become accepted secondary meaning for the word. It's in this sense that I believe Karen used it, and I think in this sense that the word is useful. It's an emotive word - and it could be argued that this is a negative thing, leading people to feel passionate might indeed incite the kind of violent response you counsel agains - but I think that, delivered in the right way, it's a good way to evoke the sort of passion for the future of testing that we need to help us persist in engaging in these collaborative efforts that require dedication and patience. Wonderful discussion thread. Thanks everyone. What I would like to add is strategy. Collaboration is critical. But when the discussion inevitably turns to automation, without a good testing strategy to guide the conversation, it will be dominated by developers. 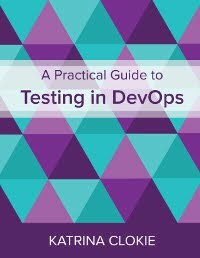 Their approach to testing will be to automate everything and get rid of manual testers. And with no counter arguments other than "that's a stupid idea" or other solutions, you are going to be looking for another job sooner rather than later. This is where a good testing strategy comes in. This strategy MUST include the full testing stack (Unit, Integration, Functional, GUI, end-to-end, business flow, Quadrant 4 tests, etc.). I have found it valuable to even have developers help with this strategy. Having them realize ALL the tests which need to be executed is an eye opening experience. It must also include a CI section, something about defect handling, a plan to get team collaborating, and a reporting section which goes beyond the near-useless traditional test progress report. Bringing this to the table early in the discussion will help you guide most of the conversations. There will be a lot more mutual respect as the developers will see you as knowledgeable and someone who can bring a lot of positive to the table. If you are the advocate for CI, if you are the advocate for bringing in cucumber for automated GUI testing (and have a list of specs needed to implement), if you are the advocate for this and that, the team as a whole will respect much more. And even support you!! Being proactive about testing strategy is a good fight worth having. A great article and it's generated some fantastic comments. In my experience I've been in environments where I've felt I've needed to fight, thankfully I'm not in an environment where that's the case now. It's easy to feel embattled and entrench into your position when you are feeling like you need to fight or defend your opinion. It becomes difficult to get perspective of the whole situation and is very damaging to the culture of the organisation. There's some really good advice on how to behave in those situations, but it's a lot harder than it seems. It takes courage and patience and it's particularly difficult in small organisations. But if you can behave the way you want to be treated that's not what I'd call soft, but leadership. Be courageous and lead by example.